Since it’s development in the late 1950’s, the Fundamental Interpersonal Relations Orientation ™ (FIRO) has been a powerful assessment tool that has helped people to understand the motivations underlying behaviour, and the impact this has on other people. Its simple but profound framework is the best way to rapidly identify challenges that may be limiting a team’s or individual’s progress. FIRO B has been thoroughly researched and applied to individuals and team development both inside and outside the workplace. Becoming a widely used framework in leadership development, management programmes and career counselling, as well as family and relationship counselling. This instrument quickly gathers critical insights into how an individual’s needs for inclusion, control, and affection can shape his or her interactions with others. Why might I benefit from Understanding my FIRO assessment? How you could better understand your own behaviour and the behaviour of others? Some people misunderstand what you want from them in terms of levels of Inclusion, Control or Affection? What to increase your effectiveness in relationships? Inclusion – This relates to forming new relationships with others. It determines how much contact a person wants to have with others. Control – This relates to decision making, influence and persuasion between people. It determines the degree of power or dominance a person seeks. Affection – This relates to emotional ties and warm connections between people. It determines the degree of closeness a person seeks. What does FIRO tell me? Learn about your needs for inclusion, control, and affection. Each area is divided into three parts. Inclusion: recognition, belonging, and participating. Control: influence, leading, responsibility. Affection: closeness, warmth, and sensitivity. How much do you want from others? How much do you give? I make an effort to get close to people. I am comfortable expressing personal feelings and I try to be supportive of others. I want others to act warmly towards me. I enjoy it when people share their feelings with me and when they encourage. It helps you to understand likely sources of tension, your leadership style, how to improve decision making, and how to improve communication and to deal with conflict. You will be asked to complete an FIRO B questionnaire online or on paper if you prefer. Then you will have a 60-90 minutes one-to-one session with a fully qualified FIRO B practitioner. The session will start with the robust feedback process set out by the OPP (the professional FIRO B body in the UK), and will be tailored to suit you; focusing on getting helping you to understand your Wanted and Expressed behaviours, and looking at areas for further personal development. Your Practitioner may also refer to you further Internet based resources for further exploration. Your one-to-one feedback session can be done face to face, or via Skype if you prefer. 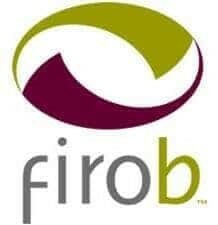 Get in touch to arrange your personalised FIRO Development session with Cardiff’s leading FIRO B Provider.